I love chocolate. And I LOVE cake batter. Mix them together, and pretty much it's heaven. I actually stumbled upon this recipe back during Christmas time, but I hadn't actually tried it until a couple of months ago. Since that time I've made it a couple of times, and I have now tweaked it to my liking. There are actually several versions out there, and so I kind of combined all of the different tips and then my own preferences to make this recipe. And sorry the pics are so sub-par-- I was too lazy to get my nice camera out :) If you try this and come up with a different twist, let me know! 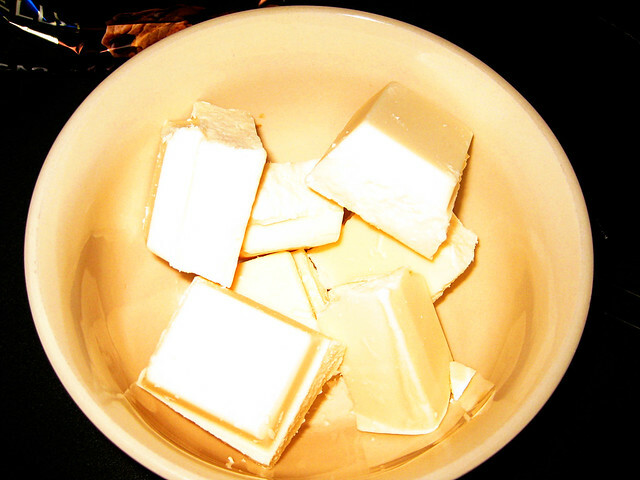 You'll need approximately 12 oz of white chocolate. 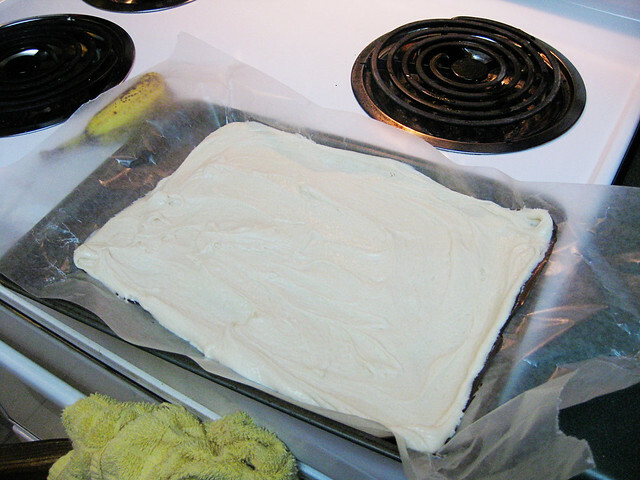 This is 1/2 of the almond bark sheet (which is found in the baking section at Walmart). 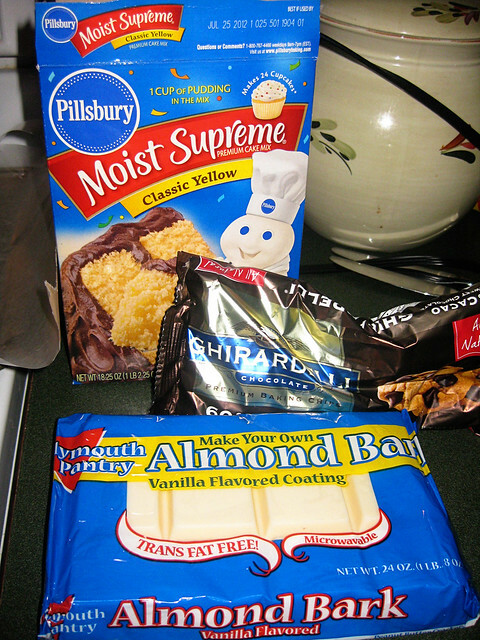 You'll need about 1/2 a box of yellow cake mix. place in the freezer for about 10 minutes. 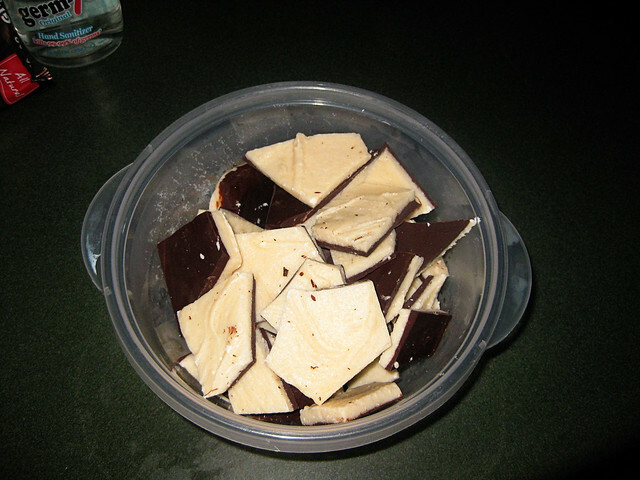 Once the white chocolate is melted, stir until smooth and then mix in your cake mix. I use about 1/3 to 1/2 of the box. This can be tweaked to your own liking. The recipes I have seen online use as little as a tablespoon and as much as a whole box. 1/3 of the box suits me just fine. 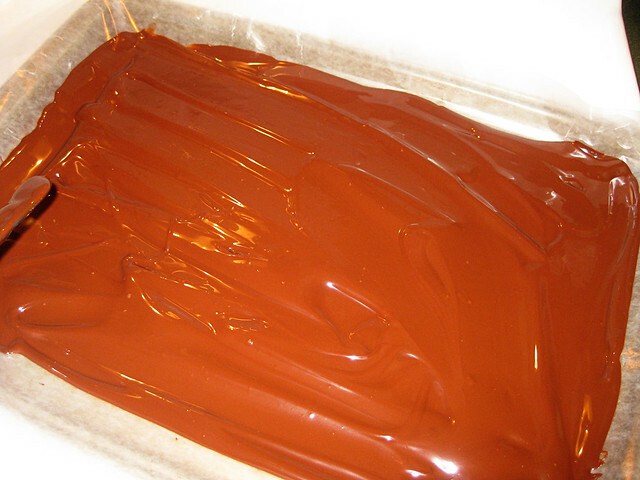 You'll want to make sure that your chocolate cake mix mixture is completely smooth. 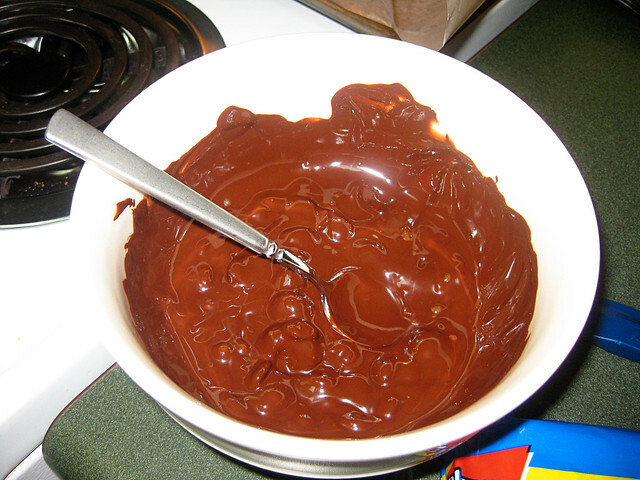 Once smooth, pour the mixture over the hardened dark chocolate. Also, I keep the bark in an airtight container in the fridge. This helps keep it from melting, or getting soft. If you're anything like me though, it won't sit in the fridge for very long :) Enjoy!